[Jesus prayed,] "Just as you sent me into the world, I am sending [my disciples] into the world. And I give myself as a holy sacrifice for them so they can be made holy by your truth." 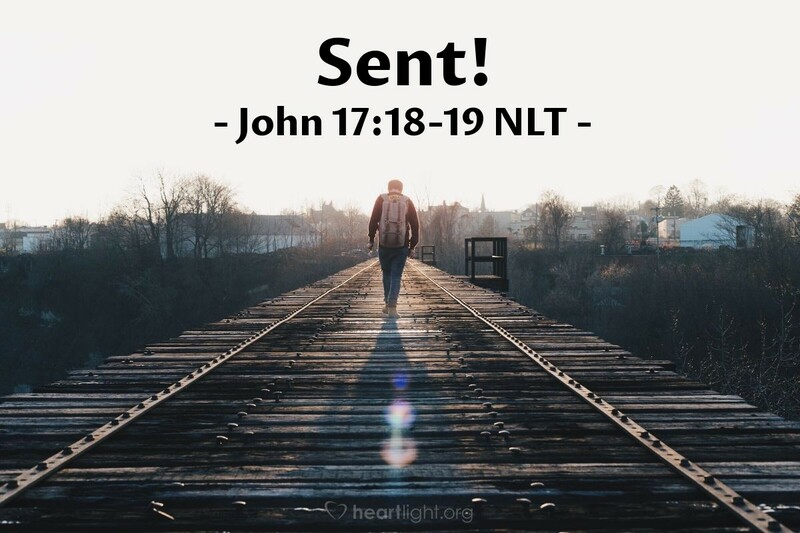 Jesus was sent from God to us so we could return to God as his beloved children. Now Jesus sends his disciples (including us) into the world to make a difference in those we meet. Jesus gives himself totally to God so that our mission and our future and our lives belong to the Father as well. Our mission is God-led, God-inspired, and God-willed. We are his, and our mission is his. Why? Because all who follow Jesus, all who call him Lord, belong to God! Father, take control of my heart, my life, and my will. Use me and my influence and my relationships to impart your truth and grace to the part of the world that I encounter. In Jesus' name, I pray. Amen.